We at Unemployment Solutions for You proudly offer our unemployment claims management services across the United States. We are a leader in our industry not only because we offer an outstanding product, but also because we have a deep knowledge-base in the many differing unemployment laws across the 50 states. Part of our mission is to also educate you about how these laws may differ from state to state because they can affect you directly. So, join us on our continuing series, in which we explore the differences in unemployment eligibility, tax rate ranges, base periods, and much more in each state. This month, in Your State’s Unemployment Tax Laws, we’ll be looking at Massachusetts. For most employers in the state of Massachusetts, contributions to the unemployment insurance tax must be made if you have any employees working one or more days in each of 13 weeks during a calendar year. Alternatively, if you pay wages in excess of $1,500 in any calendar quarter, you are required to pay the UI tax. However, there are some industries that are held to different standards. Certain industries such as agriculture, domestic workers, and out-of-state employers have different criteria they must meet as outlined below. Agriculture: these employers become liable for UI contributions once total cash wages of $40,000 or more have been paid in a calendar quarter or 10 or more individuals were employed on any day in each of 20 weeks in a year. Domestic Workers: these employers become liable for UI contributions once $1,000 or more in wages has been paid in any calendar quarter. Out-of-State Employers: these employers become liable for UI contributions once $200 or more in wages has been paid in any calendar quarter. Additionally, there are factors such as a business’ type of legal entity, management structure, and location that can affect its tax liability. For sole proprietors, wages paid to the owner are exempt from contributions, as are his/her spouse and children. In a business partnership, wages paid to partners are exempt from contribution, and in certain cases so are the wages paid to children and parents of a partner. If it is determined that you are liable to contribute to the UI tax, it’s time to calculate what your precise tax liability is. If you are considered a new employer (not in the construction industry and within the first two years of operation), your tax rate for 2017 is 1.87%. After an employer has been in business for two years, it becomes eligible for potentially lower or higher rates. For 2017, the UI tax rate might be between 0.73% and 11.13% depending on the employer’s experience rating (calculated by UI benefits charged to employer, contributions paid by employer, and employer wages subject to contribution). Once the Unemployment Insurance tax rate has been determined, it is applied to the Taxable Wage Base for each employee. The Massachusetts Taxable Wage Base for 2017 is $15,000. 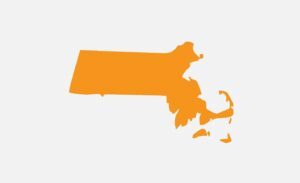 When it comes to whether a Massachusetts claimant is eligible for Unemployment Insurance benefits, three sets of criteria are taken into account: wages, reason for employment separation, and intent to work. Wages: must be of at least 30 times the claimant’s weekly benefit amount (about 15 weeks of employment) and not less than $4,300 during the last four completed calendar quarters. Alternatively, it could be 30 times the claimant’s weekly benefit amount (about 15 weeks of employment) and not less than $4,300 during the last three completed calendar quarters. Reason for Separation: must be totally or partially unemployed through no fault of the claimant, discharged for reason not related to deliberate misconduct or violation of an employer rule/policy, or quit involuntarily for an urgent/compelling reason. Intent to Work: must be capable of working, available to work, and actively engaged in search of work for each week benefits are to be claimed. The world of Unemployment Insurance tax liability, claims, and contribution can be a complex one, but it doesn’t have to be for you. Speak with someone who will ensure these processes are properly managed and that you don’t pay more for missed deadlines or opportunities. Unemployment Solutions for You is dedicated to assisting you in achieving your best possible unemployment tax rate, as well as in managing your unemployment claims. For more information, please give us a call toll free at 800-928-5750.